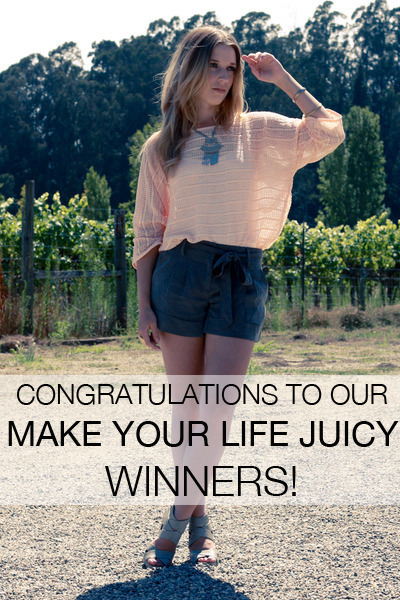 Our Make Your Life Juicy contest with Juicy Couture had one of the most coveted prizes, an all expense paid trip to New York City for the Chictopia.10 conference and afterparty, plus a brand new wardrobe courtesy of Juicy Couture. We had a lot of delightful entries but our 3 winners really know what it takes to make their life Juicy! Check out pictures from the afterparty and don’t forget to congratulate our winners! good work girl. that's awesome. congratulations ladies! it's an amazing prize indeed! Three beautiful looks and ladies :) congrats!